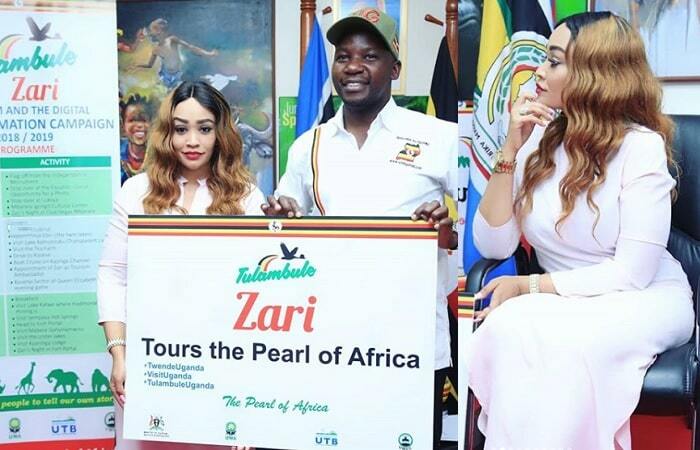 One of Uganda's biggest export and Uganda Tourism Ambassador, Zari Hassan, is in town to kick off with the Tourism and Digital Transformation Campaign dubbed; 'Zari tours the Pearl of Africa' that starts this coming Tuesday. Zari will be touring the top tourist sites and attractions in the country as a way of marketing Uganda to the world out there. The State Minister of Tourism, Hon. Godfrey Kiwanda Suubi said that because of her huge social media following, it is the reason they chose her and there's no money involved, she is doing all this for the love of her country. Zari is popular in East Africa and some countries in Africa which is good for the Tulambule campaign that is being run under the hashtags #TwendeUganda #VisitUganda and #TulambuleUganda. The mom of five arrived yesterday and was received by UBC's JK Kazoora and Uganda Tourism Board Deputy Chief Executive, John Sempebwa who accompanied her to the Minister's office for a press conference. 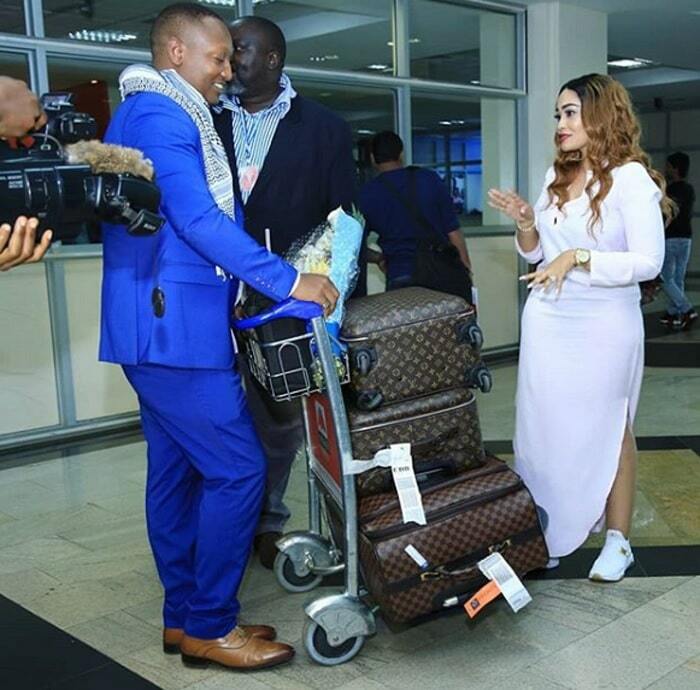 Zari who was early last month in the country to celebrate her birthday, then, travelled to the airport with Bryan White's security detail and just yesterday, Diamond Platnumz's ex-lover was being driven in the Minister of Tourism's official vehicle with a police truck leading the convoy that comprised of her black Chrysler. "UGANDA, your Tourism Ambassador is in town to start the Tourism & Digital Transformation Campaign kicking off this coming Tuesday the 6th of November 2018... Will be taking you on this beautiful journey with me, so stay tuned," Zari told her 4.5million followers. This is coming after Kim Kardashian West and hubby, Kanye West's visit last month to the country. Kim shared some clips of her visit to Uganda on her Instagram stories section, which was great, but it would have even been better if those clips were put on Instagram to stay forever as opposed to the Instagram stories section that only last for 24 hours. Kim Kardashian is followed by 120million people on Instagram. 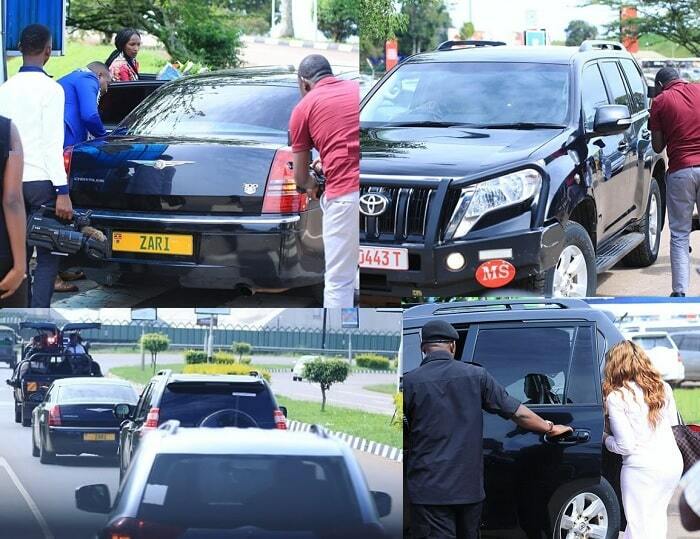 Zari's black Chrysler that transported her 4 LV bags, the Minister of Tourism SUV that Zari was being cruised in, it was a VIP treat all the way! !